kt literary » Blog Archive » Happy Book Birthday to 101 KIDS ACTIVITIES! 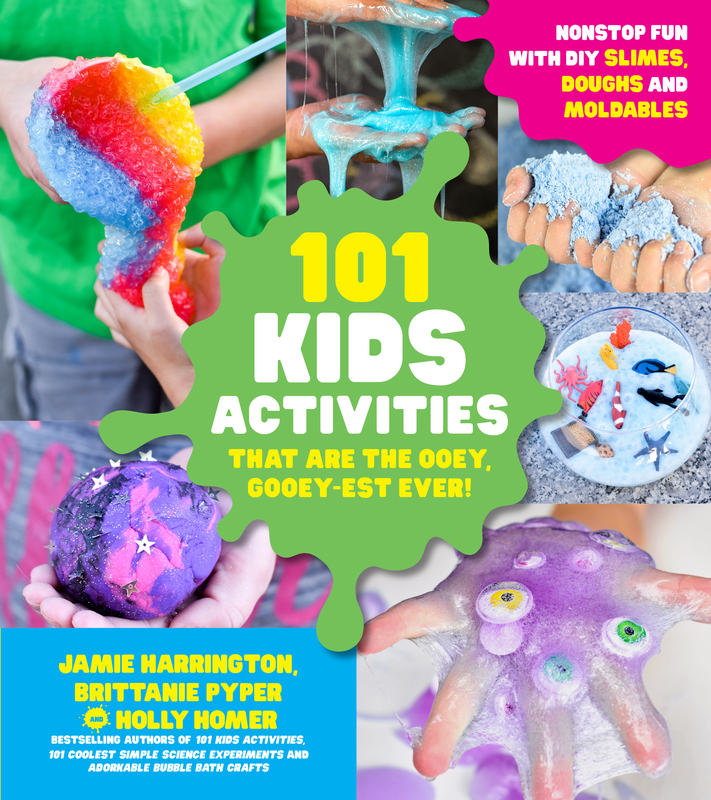 Congratulations to Jamie Harrington, Brittanie Pyper, and Holly Homer on the publication today of 101 KIDS’ ACTIVITIES THAT ARE THE OOEY, GOOEY-EST EVER! 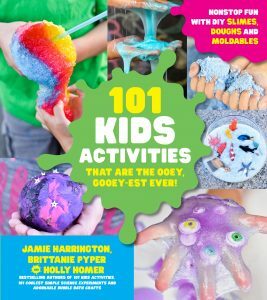 If you or your kids love slime, dough, or just making a mess with their hands, this is the perfect Holiday present! Create amazing concoctions like Fake Snow, Color-Changing Slime and Glow-in-the-Dark Dough. Dig your fngers into Glowing Magic Mud, Shaving Cream Dough and Kool-Aid Foam. Or, if you’re brave enough, squeeze the Spider Egg Sack Slime or the Frog’s Vomit Slime?eek! There are even some special slimes that you can eat like Gummy Worm Slime, Pudding Slime and Cookie Dough Dough. With 101 super cool activities (that are also super easy to clean up), you can try them all! Grab a copy today wherever books are sold!